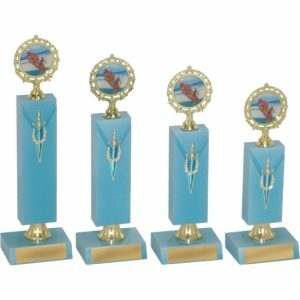 A drop-down box will be displayed below for this Timber Trophy-T5015-23cm award if it’s available in other sizes. 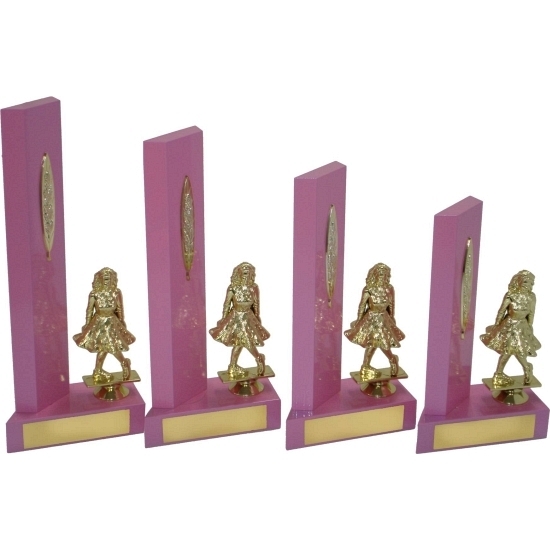 Figurines, holders, timber colour and inserts are all interchangeable. A trophy plate is included so simply enter your details in the allocated text box. For multiple awards please click on the engraving link to compile your award details. This file can be uploaded now or emailed to us at a later time. 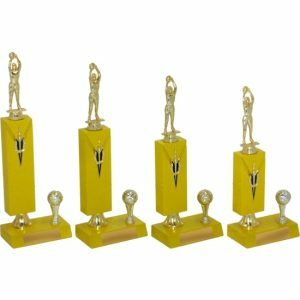 If this item has an interchangeable figurine or holder you can nominate your sport or theme below. 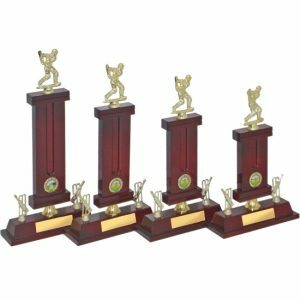 If this award displays a position for a insert centre please nominate your sport or year theme in the box below. CLICK HERE to view available choices and copy code to the text box below (A new browser tab will open to view centre/insert choices). 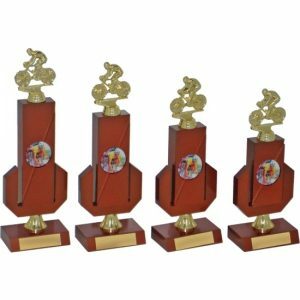 Figurines, holders and inserts are all interchangeable for this Timber Trophy-T5015-23cm award.